Trudging across the virgin snow 3,000 metres up on the alpine slopes above the Madesimo ski resort in Lombardy, the sky is azure blue and I swear I can see the magical spires of Milan’s famous Duomo peeking out above the horizon. I want it to be of course, after all, the Madesimo ski resort is just 30 minutes drive away from Lake Como, the playground of those rich Milanese. 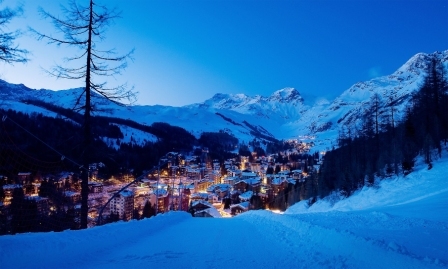 Talking of rich, behind the adjacent mountain to me yet light years away in price, lies the glitzy resort of St Moritz. The lack of crowds is somewhat of a mystery I suppose. 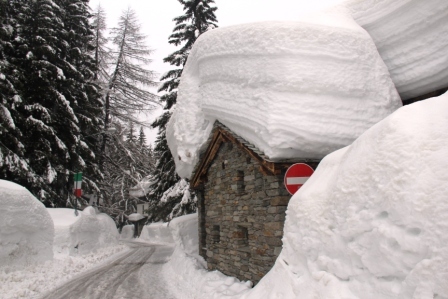 As ski resorts go, Madesimo has got it all. Over 60k of blue and red runs across 32 pistes and then there’s the famed Canelone a 1,000 metre unprepared vertical run, a run I’m told because of its unique position, changes every time you experience it, over 10k of cross country ski trails, 9 chairlifts and 3 gondolas, some coming right into town. So plenty of skiing then for all levels for only €135 per week. 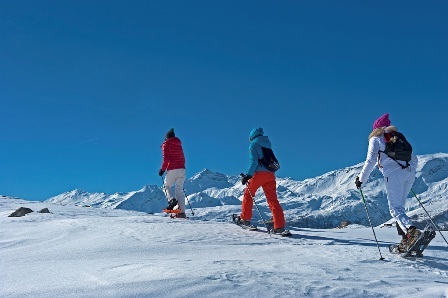 Taking a break from the skiing, I sample some of Madesimo’s other winter temptations; snowshoeing away from the pistes is a delight; smooth unblemished snow and silence all around me with just the mountain wildlife for company. Perfect. Then, a little more extreme, a night time snowmobile safari across country. Now you’re talking I say to myself, already mentally in race mode until I realise what I’m faced with. Essentially a powerful Yamaha motorbike on skis sliding around hairpin bends, careering across the mountain for 90 minutes with just a headlamp to light the way. I hold my hand up and admit my initial racing bravado wanes as another sharp bend materialises, a vast blackness behind hiding a drop of unfathomable depth no doubt. It is hair-raising stuff and I’m loving it and hating it at the same time. Of course the two ladies in front of me who seem to positively revel in hurtling their machines over the humps and around the corners are all the incentive I need to crank it up a few notches. I finish my journey falling into the welcoming embrace of the glorious Osteria Amalia , a wonderful mountain Auberge run by Mario and Daniella who spoil me with homemade crusty bread served in a traditional brown paper bag and Pizzocheri, a delicious regional speciality pasta made from buck wheat. 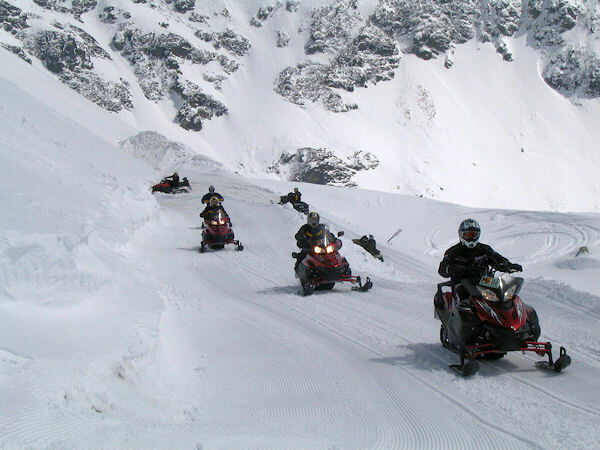 For those of you a little less inclined towards pushing the envelope, you can join a snow cat tour instead, where you can still enjoy the views and Osteria Amalia’s hospitality but without the sharp intakes of breath. 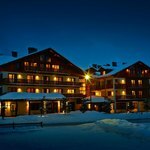 Back down in town, Madesimo’s rustic accommodation beckons with the lovely family owned Hotel La Meridiana a welcome retreat from a hard day on the slopes and conveniently lying right next to a ski lift. It doesn’t take much discussion for me to jump off the lift and run straight in the hotel’s surprisingly spacious and state of the art wellness centre to enjoy the delights of a minted steam or an alpine fog or a tropical mango shower. After dark however, Madesimo is no Ischgl. Don’t expect to party into the small hours in clubs here, more enjoy a relaxed few bevvies in the numerous bars around Madesimo’s small town centre sampling some outstanding local bresaola, the famous cured meat made only here in Lombardy. There are some fine restaurants too, the pick of which has to be Dogana Vegia, a fabulously ancient place in what was once the old customs house. Dario and his daughter will serve up whatever happens to be freshly available that day, so just sit back and enjoy it. This winter, the Madesimo ski resort has seen record snowfalls, over 9 metres of it, but in summer it’s walking heaven with clear hiking trails all over the meadows and mountains. And unlike much of Italy, temperatures never exceed 18 degrees, so you’ll never get too hot. This morning though, on a cold crisp winter’s day, the River Mera flows fast through the town on its journey down to Lake Como. On either side, its banks are packed high with more fresh snow and the lifts are doing brisk business. Not a queue in sight though. Momentum Ski www.momentumski.com 7 nights half board at the 3* Hotel La Meridiana, Madesimo, from £ 798.00 per person based on 2 sharing a Standard double room. 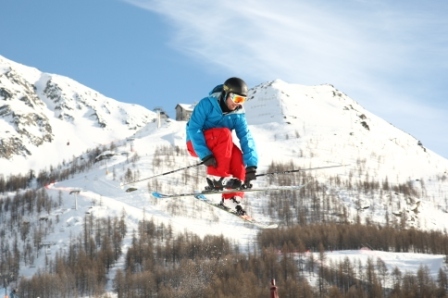 Price includes flights between London Gatwick and Milan Malpensa, private transfers and a FREE SKI PASS PER PERSON.